A warrior on a mission. A female captive with an agenda. A match made on the seashore. Every full moon a sea maiden is given to the Zaqwar. When the sea king trades Celeste to the Zaqwar in exchange for keeping the peace in the kingdom, she accepts her fate, knowing that it's the only chance she might have to live a life on land like she’d always wished for. After spending most of her life as a prisoner in the sea, Celeste vows it’ll be different on land. But when the barbarian prince she was promised to is murdered and she’s taken, she becomes a prisoner yet again. But her captor is unlike any other man she’s known before. The seven-foot-tall warrior is alluring and hot as sin. The reluctant but fearless warrior just might be the man she needs to free her from her obligation. Kradr doesn’t trust the little sea minx he stole from a Zaqwar prince. He needs her to get his brother back, but he keeps her at arm’s length, believing that she’ll use her magic to lure him to the bottom of the ocean to a quick demise. She’s just the bounty for his brother’s freedom, but he can’t help but be tempted by her luscious body, childbearing hips, and gentle voice. From the moment he captures her, all he wants to do is claim her. After just one taste, his hunger for her becomes insatiable. Fate brought them together and sacrifice could tear them apart. 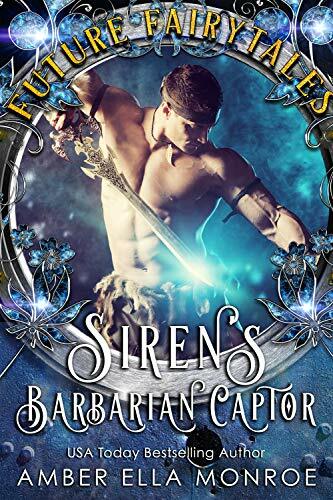 Author’s Note: This is the author’s fairytale version of the sirens and mermaids from Greek mythology, plus throw in some hot AF barbarians living in the future. Paranormal meets Fantasy. Steamy love scenes. Action and adventure. Definitely a Happily Ever After and No cliffhanger.